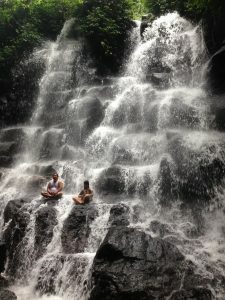 Our 3 days Bali Tour blog this time to share our great Bali Tour Experience . 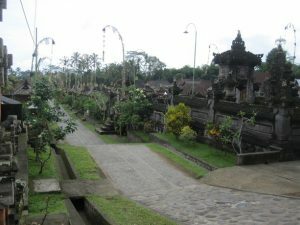 The tour of 3 days program to explore Bali country of Bali out of Tourist Trails . The place which is away from tourism crowd . 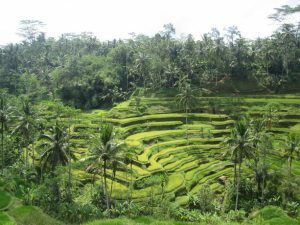 3 Days Bali Tour blog this time is our great tour experience with our clients from Holland Mr . Johan van Bourkel is our clients from Holland . Together with his beloved wife visiting our island and love to explore Bali with a real Bali experience . To explore some sites which is away from hustle and bustle tourism . 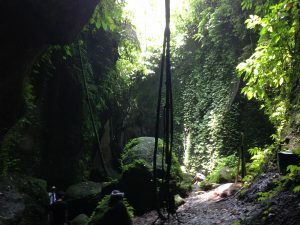 We did three days Bali Tour and visit the most beautiful hidden sites around the island . 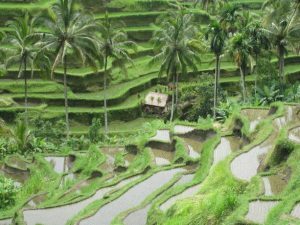 Some places that we explore during Bali Tour such as Tegallalang Rice terrace , Ancient Village of Panglipuran , Hidden waterfalls , local market as well as Bali traditional fishing village . 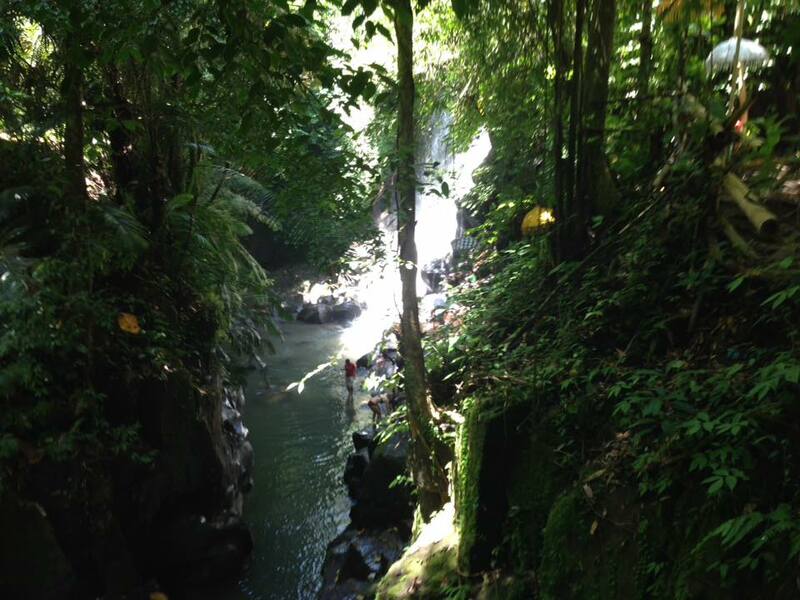 Our first day of 3 days Bali Tour was actually just a half day Tour toward Ubud . We were start from 1 pm from Batubelig Hotel . 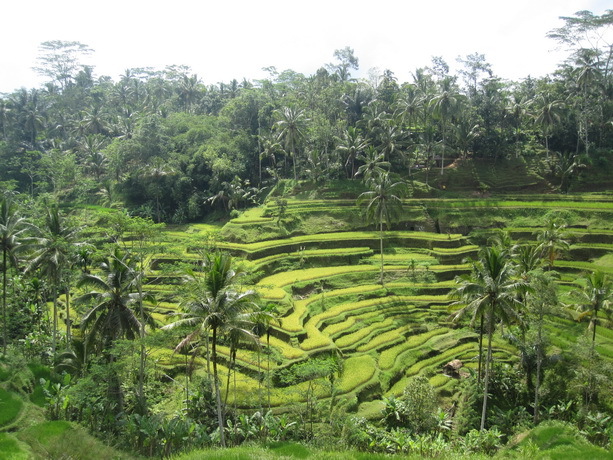 There are only 2 places on the program which is rice terrace and stop for lunch in Ubud area . Tegallalang rice terrace on our first stop is one of the tourist icon in Ubud . Small rice terrace stretching by the main street of Tegallalang . Lies on the hill area with steep terraces stretching down to the river , quite steep terrace that make the view is incredible . Its amazing for the first timer to see this iconic rice terrace indeed . Another great day of our second day program of 3 Days Bali Tour . This time our program is to explore few different places in the east . 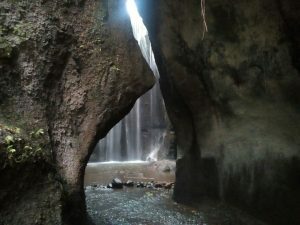 Some hidden sites such as hidden waterfall , ancient temple and also Bali Ancient Village . Our second stop at Kehen Temple . 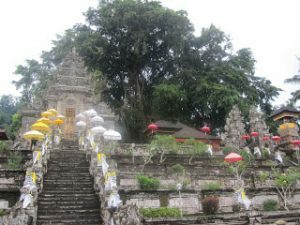 The ancient temple which is located not far from the waterfall . Beautiful temple lies on the slope of the hill in the center of Bangli region . The temple is maintained well by the villagers , great architecture and peaceful atmosphere . Here we also see a temple for Chinese that proof of the acculturation of Balinese Hindu and Chinese culture since early century . Another interesting day of our last day tour with our clients from Holland . From our discussion that they would like to see another hidden waterfall combine with visiting Sukawati Art market and also visiting Lebih village , the traditional fishing village . Our tour was start at 8 : 30 am from the Hotel and drive direct to Sukawati Art market . They were spend almost 2 hours exploring the market and see all the local activities in the market . After visiting Market we drive toward Waterfall . 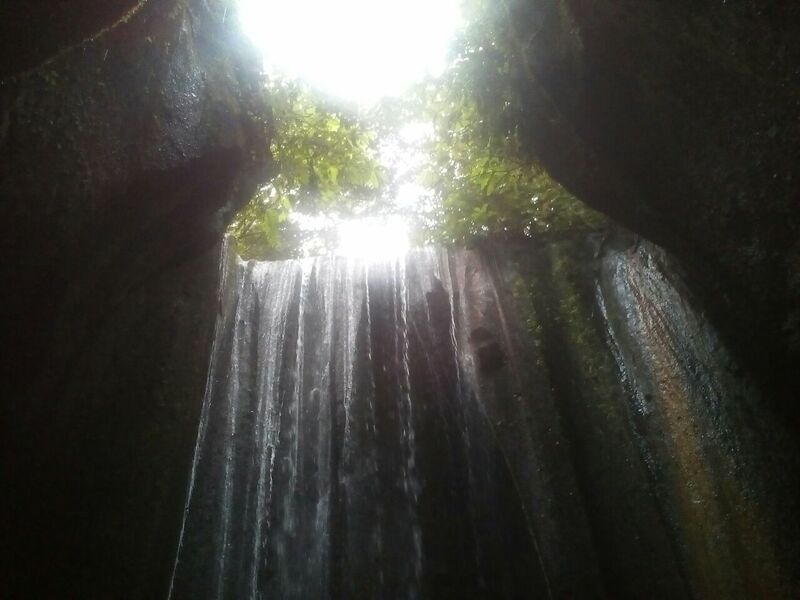 This time we plan to visit Kanto Lampo waterfall , the name look not familiar but quite popular for those who love to explore the hidden sites . The waterfall is not so far from Ubud , its located around the center of Gianyar district , in Beng village . 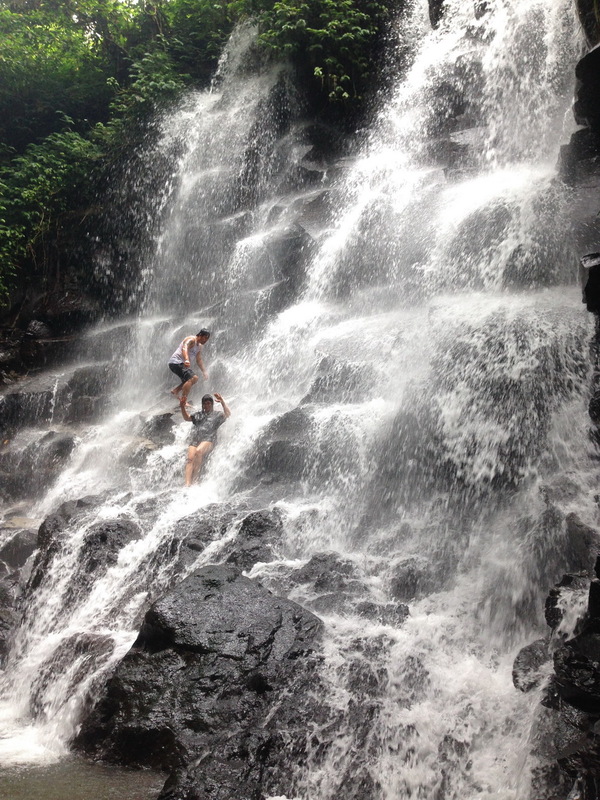 This waterfall is not difficult to reach . Once we enter Beng village we will see a big area of village cemetery , there we turn right toward small road of local residence . For the first timer will not very difficult to find it . 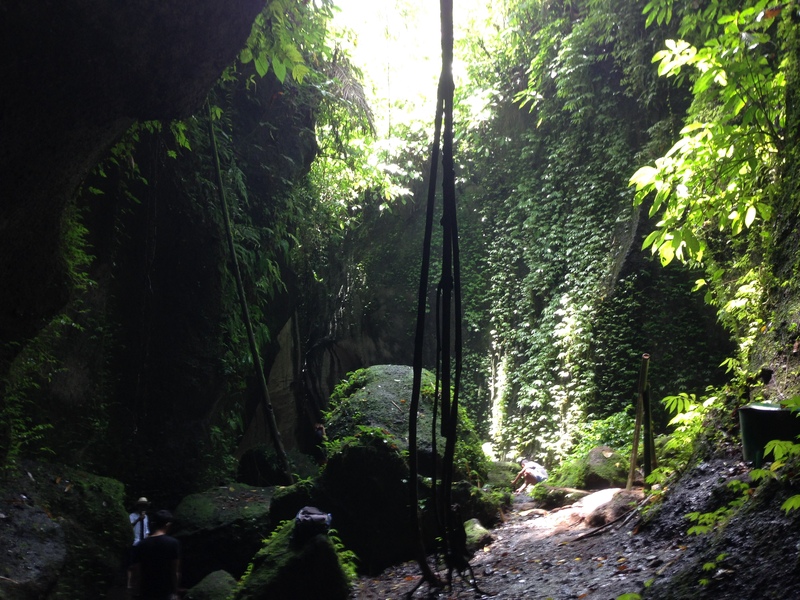 There’s a sign direction that we can see along the street to the waterfall . 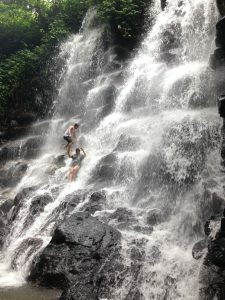 This waterfall is pretty good its much much nicer that Tegenung waterfall , the famous waterfall near Ubud . 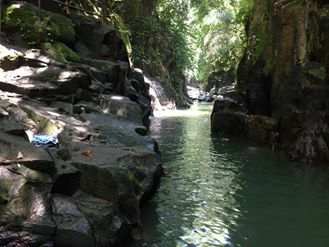 The water is clean and fresh with beautiful green nature along the river . 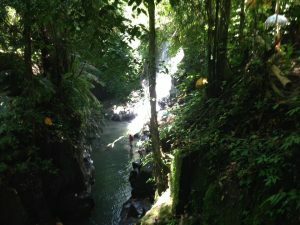 The best thing of this waterfall is not so much tourist visiting this place . Its still hidden place indeed .